This makes an imposing, fast-growing, broadly pyramidal evergreen tree under good conditions. Unlike Thuja occidentalis cultivars, it sheds snow easily and rarely suffers from snow damage. It is a long-lived tree, and it normally keeps its lower branches to the ground into old age. While still young it rapidly gets wider than most people seem to anticipate, to 25', unless it's sheared top to bottom twice a year. Because of this, it is best used in a parklike setting with plenty of room. It does not belong on a small urban or suburban residential property. One exception: At the amazing Chanticleer Garden (Wayne PA), it's used for a large formal hedge. There it's sheared twice a year. All of the people rating their experience here ... read moreas positive seem to have very young trees. This tree is widely sold as a substitute for Thuja occidentalis. I see it planted all the time where the owner expects it to stay narrow, and I have yet to see it regularly sheared. In such situations, its width is likely to make it a liability in a decade or so. Branches that are cut hard, beyond the shell of foliage, do not regenerate. It needs moist soil and good atmospheric moisture--this tree does not prosper where the atmosphere is dry. 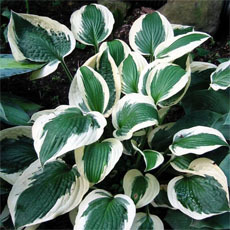 It does well in full sun to part shade, and it's not fussy about soil as long as it's moist. It performs well in eastern N. America. 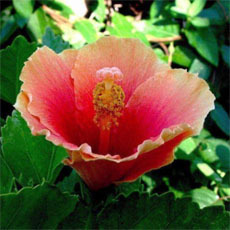 'Green Giant' is a hybrid between T. plicata and T. standishii. 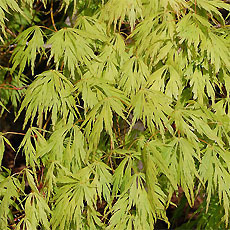 It's widely promoted for its supposedly good green winter color. Dirr says it bronzes in winter like many evergreens. I bought this tree 4 years ago. It was about 5 1/2ft tall. I have it as a corner tree to my house which receives full sun. It is in a VERY windy location and I planted it there to eventually block some of the winter winds that get crazy here on the side of my house. It has grown to about 13ft tall now. It didn't do much the first year, the second year it grew about 2ft, and since then it has taken off and growing very rapidly. So far it has held up nicely to all the wind and snow loads and it keeps its lovely green color all through winter with a slight browning of edges by spring, which quickly turns green again with warm weather. I provided no winter protection but make sure it is well watered and gets some fertilizer twice a year. (Spring and Mid summer). No issues or problems thus far. This is a fine plant, but it is oversold and poorly sited much of the time in my region. 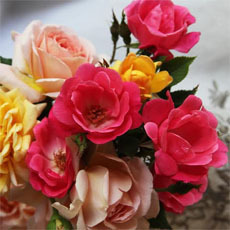 They are commonly available and recommended for their height and fast growth. The size of this tree is much too large for most lots in town, yet landscapers recommend and plant hedges of them on lots as narrow as 30'. Further, they are usually planted only a few feet from a property line so that the tree or hedge gradually encroaches on neighboring properties; ideally, the hedge would have to be planted 6-10' inside the property line - 1/3 the width of the lot! Pruning the trees to keep the size in check is not possible because they are "hollow" inside and once pruned back they will not regrow . The only option for managing the size of the trees is to shear them several ti... read moremes a year, never removing all the greenery, and then accepting their large size as they grow - although more slowly than without the pruning. I have several of these trees, as does my neighbor. They grow very well with no disease or pest problems. They have proven to be insufficiently dense for a privacy hedge. We ended up fencing in our property in order to provide real privacy, discourage "shortcutting" trespassers, and to prevent our neighbor's trees from engulfing our porch. Despite the fencing, I still prune them so that they don't overwhelm the rest of the plantings. I wish that we had been advised to plant a different variety of thuja/arbrovitae, or a different hedge. only lost one they are slow for me about 3 " /year. I hope they make some progress this year. We planted eight of these a year and a half ago and they are doing well now. As another user commented, you need to make sure they are well watered before the ground freezes. The first fall (right after we planted them) we did not do this, and they suffered great losses to dessication (winter burn). Basically, they didn't have enough water to make it through the winter and so some parts of the plants died. Google "Ron Smith" and arborvitae for some excellent information on proper care. I have this tree and it is growing very slowly. Please let me know what can be done to help with growing. Thanks. Wonderful tree. I bought five small trees and put four along my back fence to create privacy. The first year they grew about 12 inches. The second year they put on about 24 inches. This year, the third they have doubled in size and now are around six feet tall. I did plant one tree at the top of a hill and it is growing slower but it is exposed to lots of wind. I water the trees only when there is no rainfall for a month and they are doing great. Since I have heavy clay soil I did plant them higher than the surrounding ground. I also added some compost/manure to the backfill soil. So far I have not noticed it being bother by any insects and they are fairly drought tolerant. I also love the fragrance they give off when you brush ups against them. Have stood up well to snow and ice and drought. 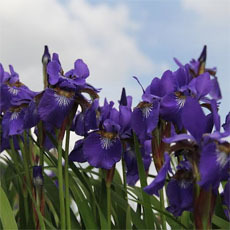 They grow very fast vertically (full sun and regular watering for fastest growth), but are slower to put on width. I would suggest planting them in two staggered rows for optimal quick privacy screen. 'Green Giant' is a vigorously growing, pyramidal evergreen with rich green color that remains outstanding throughout hardiness range. 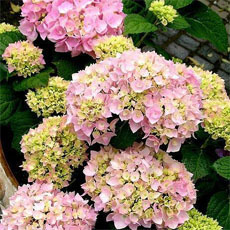 It has no serious pest or disease problems and has been widely grown and tested in commercial nursery production. 'Green Giant' is an excellent substitute for Leyland cypress. maturity; 30 feet at 30 years. Foliage: Dense, rich green, scalelike foliage in flattened sprays borne on horizontal to ascending branches; good winter color except, perhaps, in the southeast. Fruit: Persistent, oblong cones, approximately... read more 1/2 inch length. Cones emerge green and mature to brown. Culture: Adaptable, grows in soil types from sandy loams to heavy clays. Requires little to no pruning. Purchased nine Thuja Green Giants and planted them on April 25th 2007. Planted them 5 ft apart. Beginning height of these trees was 12-18 inches. Some are growing faster than others, but, on the average they have grown 10-15 inches in the first 9 months after planting. I made sure the holes were dug extra large before planting, giving roots soft soil in which to start growing. I made sure their was no grass or weeds within 2-3 feet of every tree. This is very important for growth of Green Giants. Grass and weeds to close will slow growth! I mulched the areas with 2-3 inches of wood mulch, keeping the mulch 3-5 inches away from the stems (trunk). Water them throughly and as often as needed. Never let the soil or trees dry completely up or this could cause slow growth or cause death. ... read moreKeep up with the watering! About 2-3 weeks before our first fall frost I watered the trees very good, so, the roots could soak up the water and get ready for our winter months. I also will water in winter if needed. Pile straw 8-10 inches or better around the trunks (stems) to protect stem from winters cold winds. Note: I have not and will not be using fertilizer the first full year. Not sure yet what i'll do this Spring and Summer. Some say use Miracle Gro (All Purpose) at half the strength. Hummm ? Just not sure yet. Planted 10 in Spring of 2001 as a screen for my backyard at the proper spacing. All original plants were between 1 and 2 feet tall at time of planting. The first Winter, I thought I had lost them as they all turned brown, but rebounded the following Spring. They did not start showing rapid growth until 2004. It is now May of 2007 and they are all doing well. They all have full growth from top to bottom and all are over 7 feet tall - they average 2 to 3 feet a year now. 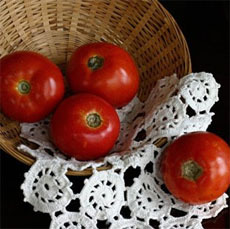 They do not require any care, although I fertilize in the Spring of each year with Holly Tone. They have a good evergreen odor and seem to be solid growers...very pleased so far! I have 2O planted. So far so good. They held up great through winter cold. I have these in my backyard as a screen. They look great and are growing very well here. No problems with deer eating them or ice causing damage. 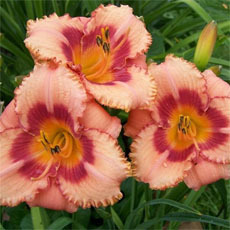 This is a very good plant, I have several in my yard and plan to propagate more in order to sell. 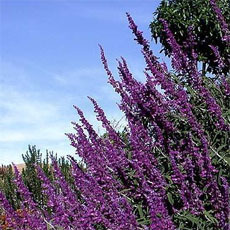 It is very fast growing with 5-feet per year not uncommon. It is a very dense and perfectly shaped tree, very upright and stately. They should be planted 5-6 feet apart for a super-fast privacy screen, or 12 feet apart otherwise.